Synonymous with luxurious living and trendy lifestyles, the Nusa Dua region of southern Bali is packed with luxury hotels and resorts and up-market boutiques. Pristine beaches and calm waters make the area one of the hottest destinations for tourists visiting the Island of the Gods. Strategically located in the premier resort of Nusa Dua with seamless white sandy beaches in walking distance, Bali Nusa Dua Hotel is the ideal choice for a peaceful haven, relax in luxury and enjoy the unique combination of Balinese charm and traditional service, guarantee to make your trip a true memorable experience. A luxury getaway awaits you here at the Courtyard Bali Nusa Dua Resort. Our sophisticated hotel features a private beach club, 5-star accommodations and an impeccable location - as well as award-winning service. All of our spacious rooms and suites are filled with thoughtful amenities including plush bedding, marble bathrooms and free high-speed Wi-Fi. Step out onto your outdoor balcony and enjoy scenic hotel views. Additional perks for your visit here to Nusa Dua include a luxury on-site spa and a lagoon-style pool. Savor a delicious meal at our on-site restaurant, dine on the beach or sip a drink at the Pool Bar. Your children will have a blast at our Kids Club, too. Those organizing events here in Bali can make use of our versatile venue space and our comprehensive planning and catering services. And we're just moments away from a wide array of attractions and activities - from Kuta Beach surfing to shopping at Bali Collection. 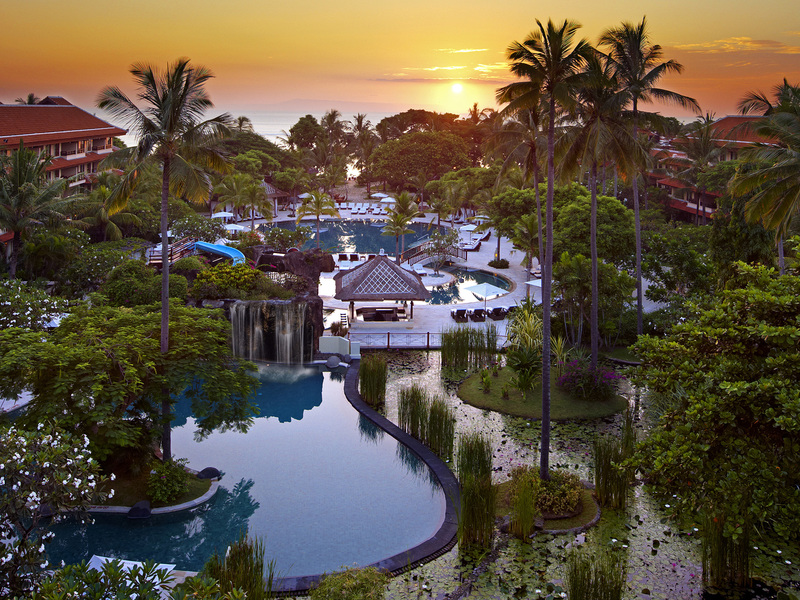 We can't wait to welcome you here to the Courtyard Bali Nusa Dua Resort.